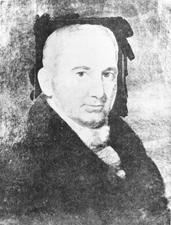 MILLEDGE, John, a Representative and a Senator from Georgia; born in Savannah, Ga., in 1757; was tutored privately; studied law; admitted to the bar and commenced practice in Savannah, Ga.; served in the Revolutionary War and was one of the patriots who rifled the powder magazine in Savannah; narrowly missed being hanged as a spy; attorney general of Georgia 1780; member of the State general assembly for several sessions; elected to the Second Congress to fill the vacancy caused by the House declaring the seat of Anthony Wayne vacant, and served from November 22, 1792, to March 3, 1793; subsequently elected to the Fourth and Fifth Congresses (March 4, 1795-March 3, 1799); again elected as a Democratic Republican to the Seventh Congress and served from March 4, 1801, until his resignation in May 1802; chairman, Committee on Elections (Seventh Congress); Governor of Georgia 1802-1806; elected as a Democratic Republican to the United States Senate to fill the vacancy caused by the death of James Jackson; reelected in 1806 and served from June 19, 1806, until November 14, 1809, when he resigned; served as President pro tempore of the Senate during the Tenth Congress; one of the founders of the University of Georgia at Athens; died on his plantation near Augusta, Ga., February 9, 1818; interment in Summerville Cemetery. Dictionary of American Biography; Mellichamp, Josephine. John Milledge. In Senators From Georgia. pp. 53-6. Huntsville, Ala.: Strode Publishers, 1976; Salley, Harriett (Milledge), ed. Correspondence of John Milledge. Columbia, SC: State Commercial Printing Co., 1949.